Meet Charly, given name, Charlotte Rose. She lives in Saratoga Springs, UT with her family. For prints, click here. To see Charly's painting being created, click here. Watch DawgArt come to life! So I made a new video. Even shinier than the first one! This is a painting of Charlotte Rose, lovingly referred to as Charly (pronounced SHarley). She is a fiesty miniature schnauzer. Her youngest family member requested that I carve some bone shapes into the paint, but I forgot I was planning on doing that until I was almost done! You'll see that in the video. Also, see if you can spot my Coke Zero! Yes! We are going to start presenting time elapsed video of the painting process. I'm so excited about this, I can't even tell you. So after seeing my art friends Stewart, Adam, and Frankie put together time elapsed videos on YouTube and hearing Will Terry's thoughts on utilizing virtual venues to spread the word, Tyler and I decided to do it! We're going to make a series! Check it out. It's fascinating to watch the piece come together in such a quick amount of time. New commission: Golden Retriever. 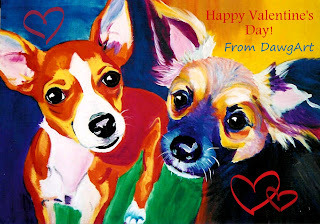 I'll post details once the painting has been presented as a gift. If you would like prints, please click here. To see this painting being created, click here! New commission. 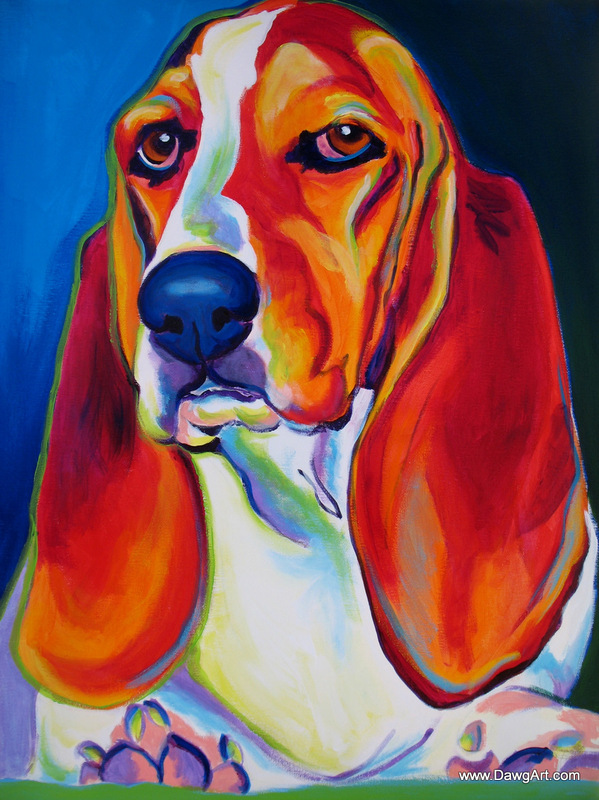 I'll post the name of the soulful Basset Hound after her owner presents the painting as a gift. You can get prints here in my Etsy shop!